Today's blog entry aim to debunk some of the myth known to people that are seeking better fitness and better nutrition via intake of supplements. I wish to state my point that nothing beats natural food. Here are some myths that are often used by marketing companies (and product) companies to part you with your money by promising you ""better this and that if you take what we sell. I have fallen victim to these marketing as well. But now wiser, here are some of the more usual tricks that they use to make you feel that you need it. 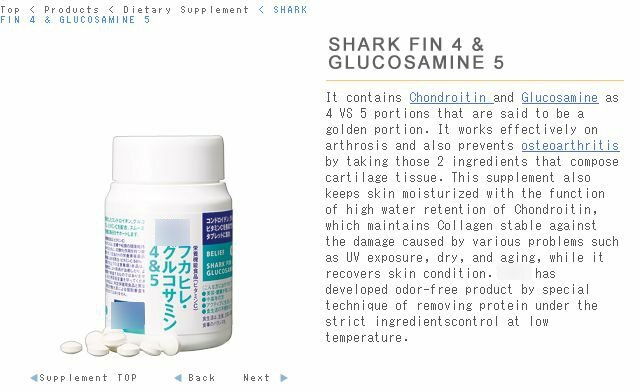 While writing this article, i decided to go with the flow and think of the most absurd supplement i could think off, then run a google search to see if they exist. What follows below shocked me and who would actually thought of all these advertisement and supplement concoction! Superb Packaging, it must work! We are all visual creatures. Often sight of a half naked torso with great body is good enough to convince buyers to commit to something they don't need. 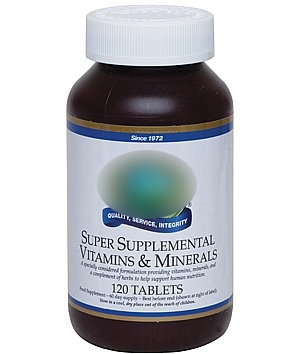 Sometimes, devoid of photos, words such as "BEST", "POTENT", "GREAT"", "FANTASTIC", "NATURAL" will instantly grab your attention and make you need the supplement even though it won't do anything for you. 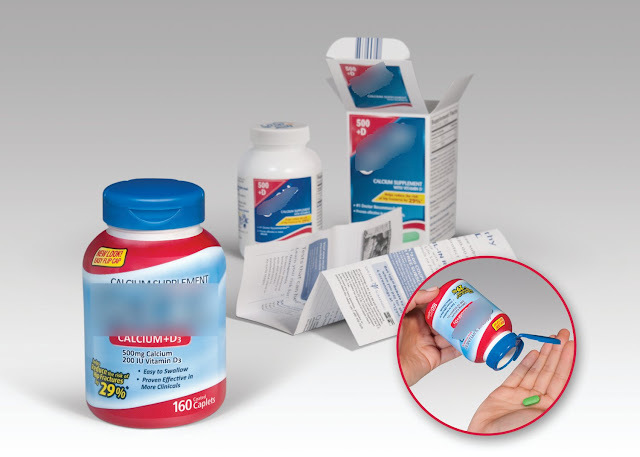 It always intrigue me how changing of the packaging to reflect a product refresh will instantly also provide more potency at the "same good old formula you can trust". The new packaging for the item below has the ability to decrease bone fracture by 29%. Wow! Really? Must be the color in the packaging then! Look closely, both are 500mg with Vitamin D. Perhaps the flip opening adds to less incidences of fractures. Studies shown it works. It will, believe us! Human are very vulnerable. It takes only a little bit of convincing and they are all bought over. How not to when the certain supplement are "highly researched" by Dr. So and So and "after many years of research" has proven to work. Why? Don't believe? I have researched all these farce for years! Wow, more easily available even, must be damn good! The Chinese typically believes in these. Do you know that food such as Shark Fins and Abalone has no nutritional value whatsoever? How about Geoduck? Or even Sea cucumber! You know for sure when they promises you the sky such as "cure for cancer" and "to make your joint lubricated again", you just have to stay away. Err....0.5grams of sea cucumber? For what? Shark fin 4??? When the Buying Stops, the Killing Stops. The salesperson say it is damn good! You always get those super pesky product sales person walking up to you introducing their new most potent product that could cure almost everything and all problems you have. Then you look at them where they have acne problem while trying to sell you a skin supplement or a fat person selling you fat loss formula. 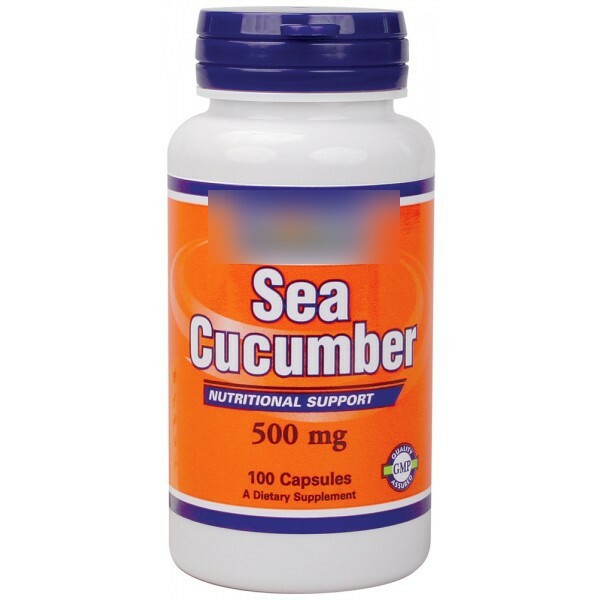 Worse is when it combines both the salesperson that is obese with acne problem and tell you this supplement will cure all your problems. Suggest that you start running away, even more so if Oprah's face was on the page. These are made from Natural Ingredients! Believe it when i say most supplement are made from synthetic lab derived materials. Natural ingredients are just simply too expensive to produce and most supplement has filler put in (usually flour) to make up the volume. Then most will claim that their ingredient are all naturally derived. Lets not forget that items such as gelatin (very usual as capsule) and even silicon dioxide (used as filler) are included into your "natural supplement". I bet the naturally available supplement will definitely bring you to new heights in your quest for a healthy living. Click for larger pic and read the label. 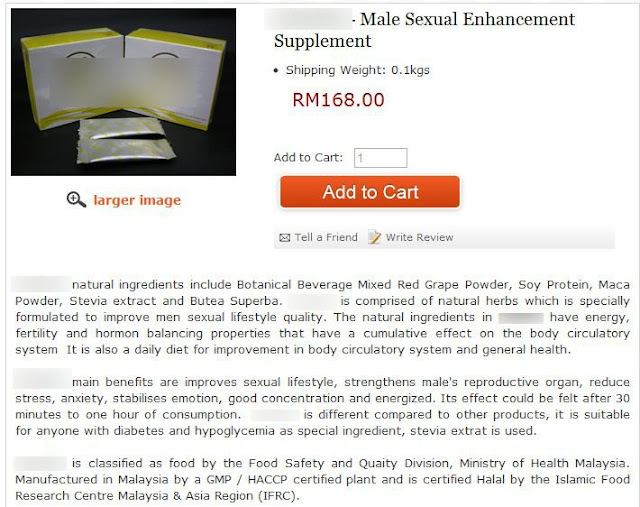 Magnesium Stearate is used as tablet lubrication so you swallow it easier. Natural too as they are produced around the bathtub when you take hot shower in hard water. I will let the photo below express what i want to say. Seriously, i am lost for words on this one. Human are sucker. Just convince them that the supplement will make them Superman in bed, they will pay top dollars for them. I wonder how many take the one below and succeed.